tax and succession planning for family businesses and charitable giving. In addition, he represents clients in litigation matters involving estates and trusts. 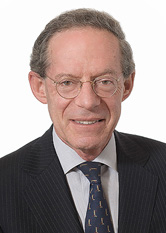 Prior to joining Windels Marx, Mr. Schwabacher was a partner at Brauner Baron Rosenzweig & Klein, LLP and the head of its Private Client Services Group. Mr. Schwabacher specializes in succession planning for closely-held businesses and is skilled in accommodating the interests of different generations in a closely-held business and in balancing the requirements of members of the family who are active in a closely-held business with the needs of members of the family who are not, but who depend on the success of the family business for their financial well being. Mr. Schwabacher focuses on tax planning and multigenerational structures for family businesses to encourage harmony in the family and to sustain the continuity of the business. He has worked with closely-held businesses in a number of sectors, including real estate and investment banking. Mr. Schwabacher focuses on financial and estate planning for individuals of substantial net worth who have interests in properties that are difficult to manage or value, such as closely held business interests, real estate, and art. He also has broad experience in the administration of complex estates and trusts. Mr. Schwabacher represents a number of artists and collectors and has accumulated considerable experience in tax and related financial planning for persons owning art of substantial value. He is familiar with the legal issues facing artists, collectors, and their estates. He also serves on the advisory board of the Pollock-Krasner House and Study Center and the planned giving advisory committee of the Museum of Modern Art. Since 2009, Mr. Schwabacher has been designated as a top trusts and estates lawyer in the Metro New York edition of SuperLawyers and also appeared in The New York Times Magazine. He is rated AV Preeminent by Martindale-Hubbell. Panelist, Union College on the topic of "Artist's Legacies, Trusts and Related Considerations"
Guest Speaker, Ora Lerman Trust and Soaring Gardens on the topic of "Estate Planning for Artists"